Judge passes harsh sentence in "non-political" case. She has suffered in her life and will now lose the life she has built in this country. Hers is a unique case and a unique defendant. I urge you not to give her any incarceration and let her serve her community while she is still here. Deutsche painted a picture of a woman who had taken a lot from this country, but given a lot to her community. The letters sent on her behalf were not form letters but from Arab immigrant women, human rights lawyers, people who work with domestic abuse – all people who knew her and had worked with her personally. 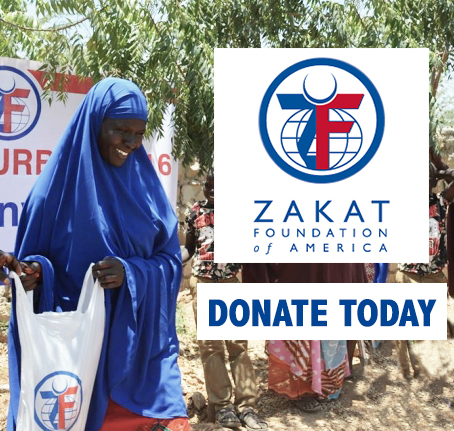 After listing her contributions to society during her 20 years in the U.S., Deutsche described her continuing her community work while she was “suffering quietly from symptoms of PTSD” diagnosed by the expert witness and her own physician. In addition, he emphasized her age of 67 and how her time in county jail aggravated her high blood pressure and anxiety attacks. Deutche then focused on “the nub of this case” and the overreach of the prosecution. As Judge Drain’s final sentencing will show, he did reject the “terrorist pandering” of the prosecution. But the statement of Assistant U.S. Attorney Jonathan Tukel demonstrated, there was a lot more focus on “Odeh the terrorist” to come. 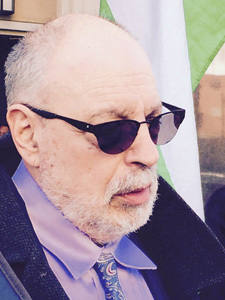 He led with “her continued association with people with a terrorist background” and went on to show videos of Odeh (that had been ruled inadmissible in court) of a Palestinian woman claiming Odeh had been involved in the Jerusalem bombings in 1969 and portions of the 2004 film “Women in Struggle” that included four female Palestinian ex-prisoners, including Odeh, discussing their arrest and imprisonment in Israeli jails. Tukel contended these videos demonstrated that “she can only be described as an icon in the terrorist community.” His core argument was that the nature of the crime being concealed affects the seriousness of the immigration crime; deportation is not punishment enough; and that jail time serves as a deterrent to people thinking that they can lie and obtain citizenship. 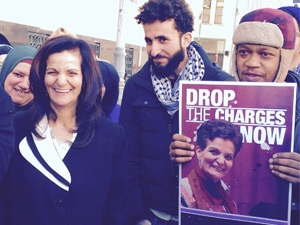 Rasmea Odeh gave the final statement before the sentencing by the Judge. She emphasized her respect for the judge and the court and it was here where she expected to find justice. 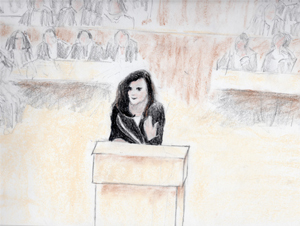 Courtroom Drawing of Rasmea Odeh by Deb Yanpoolen. Every step of this case has been politicized. It is not a political case. It’s about coming into the country illegally. The Judge would reject the “politics” of the prosecution’s claim that Odeh was still a terrorist and a threat to the country, while also rejecting the “politics” of the defense’s claim that Odeh had been initially targeted for prosecution for her Palestine activism and her answers on the immigration forms were affected by her experience of an unjust conviction and torture by the Israeli prison authorities. The Judge would acknowledge that Odeh “was not a danger to anyone or anything and has spent a life of serving others,” but determined he could not treat Odeh differently than others with this same offense. His sentence of 18 months in jail was in the middle of the 15-21 months guidelines for this offense with credit for time in custody; special assessment of $100; $1,000 fine; continue on her current bond pending appeal; revocation of her citizenship effective today; and an order of removal to Jordan [effective after jail time]. Odeh joined her attorneys and her over 200 supporters in the street in front of the courthouse relieved tha she would be free to continue her work in the community. Michael Deutsch indicated the case would be appealed mainly on the grounds that important evidence had been excluded from the trial including information about her arrest, military trial, and torture in Israel as well as the expert testimony of her suffering from PTSD. He was surprised that the prosecution had agreed even before the sentencing that Odeh would be allowed out on bond pending appeal. He indicated that it may have been due to the realization there were valid grounds for appeal. I am positive we will win the appeal with all of you beside me. For additional information, refer to the Rasmea National Defense Committee website.